Just before I left for the Isle of Wight I had unearthed a diary by Edie’s brother, Rev Fred Appleton, which covered most of 1947. It was mostly brief jottings about meetings he had, as vicar of Mottistone and Brook, with local people; many local names are mentioned in those villages as well as in Brighstone. For the time being the diary is with contacts near Brook but I shall make sure it is passed on to interested Brighstone residents a.s.a.p. Ever since the diaries were first taken out of the last of a succession of drawers where they had lain for almost 90 years, it has been obvious that some sections were missing. Although I have written about this before, I have not - until now - undertaken a proper search on the Isle of Wight where they are most likely to be found. So, I have at last made arrangements to visit the Island - from Monday 2 to Wednesday 4 July 2012 - and several kind people have agreed to meet me, including some who knew Edie. 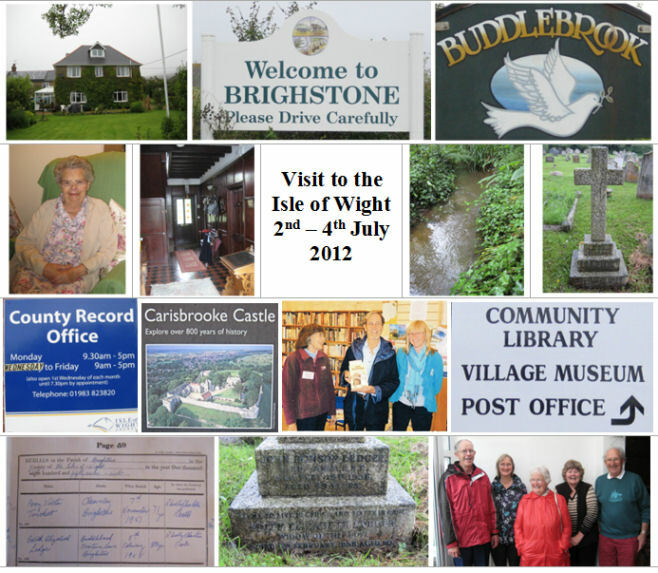 The IoW County Press ran an article about my visit and you can read it here. Although I have not yet received any direct responses about the missing dairies I am still hopeful. I am particularly interested in making contact with individual collectors on the Island who may have them - in part or in whole - and perhaps don't realise the connection with the volumes which I do have. mobile (which doesn't operate at home - no signal) is 0787 569 6004. I did receive an interesting contact from Pat Carter in Portsmouth who is involved in a project encouraging people to keep diaries and to share those of their ancestors. The item on Pat's blog, which includes a reference to Edie's diaries, is here: http://patcartertuition.wordpress.com/2012/06/28/great-diary-project-part-2/.